Elizabeth Enfield worked as a journalist and producer for BBC radio before going freelance. Her short stories have been broadcast on Radio 4 and published in magazines including Woman’s Own and the Sunday Express. This book has become a finalist and will compete again when the public can vote from 1 – 30 April to determine the winners that are announced at the Awards Ceremony on 8th May. You can purchase tickets to the Award Ceremony here. Original, funny, sad and a joy to read. A wonderful book full of love and compassion. Thoroughly recommend this book. Thank you. A very clever idea and beautifully written. Cleverly structured with a backwards running narrative that complicates and picks up a kind of existential depth as the book reaches its denouement. A tender, witty and compassionate novel. Highly recommended. An intricate and cleverly woven idea, beautifully told with an eloquent, humorous, and tender human touch. This novel leaves an indelible mark on one’s soul. Drama and adventure, grief and desperation, hope and inspiration woven together beautifully. A structure that keeps you guessing. Enjoyable and moving. A delightful read. Loved this book. 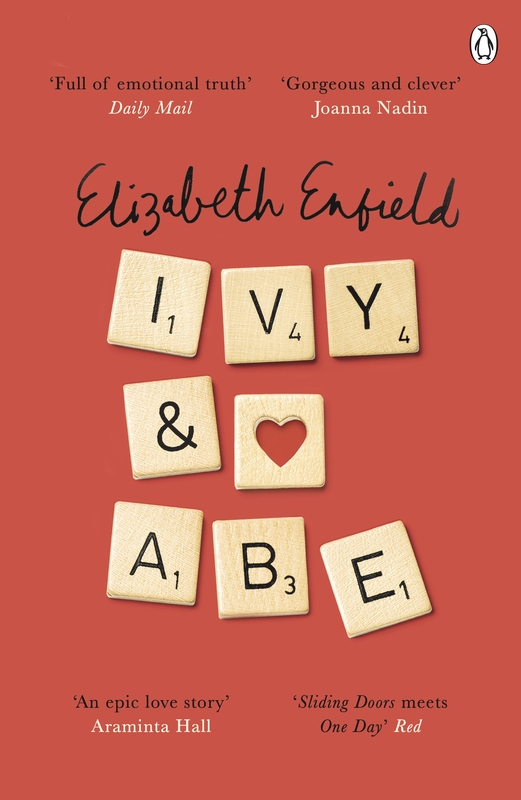 Nothing is certain except that Ivy & Abe is both insightful and a delight to read! Once I became hooked by the echoing narratives and the way their juxtaposition explored profound questions about the nature of romantic love and our responses to transience, my reading accelerated, until I started to regret the quickly diminishing pages left. With its clever time-slip parallel universe narrative, and insightful take on the fragility of love this book is funny, tender, and clever. A real page-turner – with lots to think about. Beautifully constructed and subtle narrative(s) that keep you guessing to the end. A lovely novel. Simply brilliant. If you have not read it yet, please do!